The Hershey Beer Country Region is quickly becoming well known for the quality and selection of our handcrafted beers. 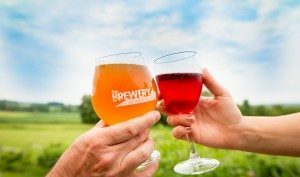 Explore the best breweries that the Hershey region has to offer and hire Premiere #1 Limousine Service to take you on a getaway you won’t ever forget! A safe, courteous and well-trained driver from Premiere #1 Limousine Service can take you and your friends on a beer crawl in the luxurious comfort of one of our vehicles. Let Premiere #1 Limousine Service handle the details of your Hershey beer tour and sit back and relax, instead! Premiere #1 Limousine Service is proud to be central PA’s most reliable tour company. 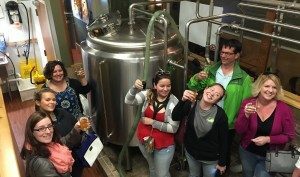 When it comes to beer tourism in central PA, nobody knows the region better than us. And we’re delighted to offer you several packages designed to help you make the most of your fun weekend getaway! The Hershey Beer Tour Getaway. Prefer a little chocolate with your beer? 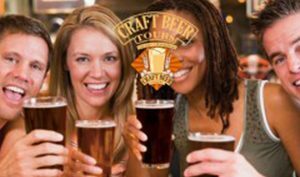 Book the Hershey Beer Tour Getaway and stay nearby Hershey Park at the SpringHill Suites. Our driver will bring you to three of the region’s best breweries, and give you awesome souvenirs you’ll actually use. Don’t forget to savor the special chocolate welcome gift, courtesy of our friends at Hershey! 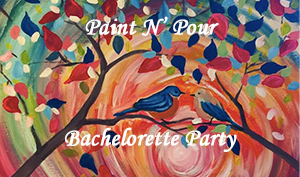 Prices starting at $545 per couple. Customize a visit to one or more of Hershey’s famous breweries. Sample regional favorites at Troegs, The Brewery at Hershey, Snitz Creek and more. Love wine too? We can add on one or more visits to Hershey area wineries such as Cassel Vineyards, Cullari Vineyards, Mount Hope Estate and The Vineyard at Hershey. Explore central Pennsylvania. Hire Premiere #1 Limousine Service and find out why we’re quickly becoming a favorite destination for foodies, beer enthusiasts and oenophiles. 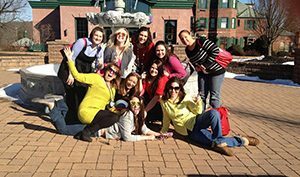 There is something for everyone to enjoy in Hershey! Every one of Premiere #1 Limousine Service’s drivers are employees, not contractors. That means you can trust us to deliver you safely and on time in a well-maintained vehicle. Our large fleet of cars includes luxury sedans and SUVs, stretch limousines and SUVs, passenger vans and small passenger buses. Whether you’re a crowd of 2 or 20, Premiere #1 Limousine Service has the driver and vehicle you need to get there and get back home safely.